Lashing fast, good insulation, self-locking ban solid, easy to use. Great for both indoor and outdoor use. 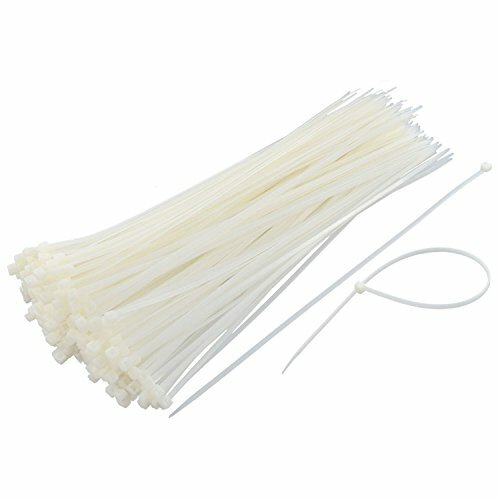 Widely used in bundling fixed the TV, computer and other internal wiring, appliances, lighting, electrical, and other products lines. This product is acid, corrosion resistance, good insulation, not aging, bear strong. Fixed mechanical equipment, oil pipelines, fixed cable lines on the ship, bicycle vehicle packaging or bundling other objects. Organizing electrical wires and PC laptop cords, Securing bike accessories, Securing suit case zippers during trips. If you have any questions about this product by TrendBox, contact us by completing and submitting the form below. If you are looking for a specif part number, please include it with your message.